What are Polarized Sunglasses? | Minishades™ | Polarized Sunglasses for kids! 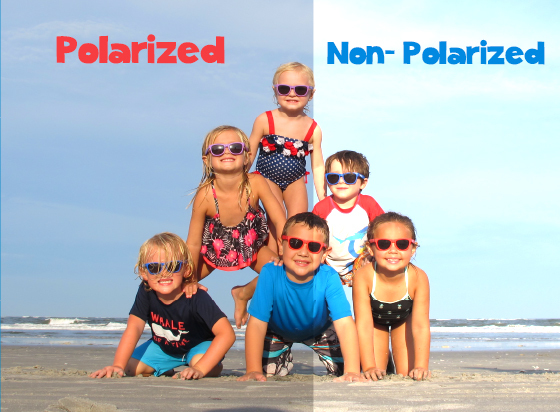 Polarization adds another critical layer of protection from the sun’s harmful UV light. Your child’s developing eyes are more transparent, which allows more harmful light to reach the retina. Polarized lenses block the reflected UV light in addition to the direct & scattered UV light. This essential layer of protection is now a standard in adult sunglasses. It’s time your kids have the same protection!